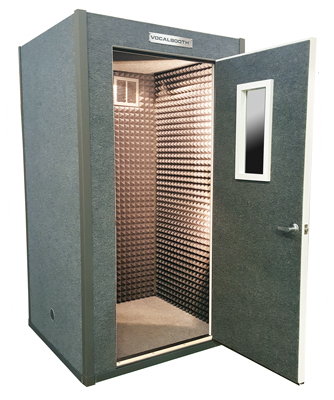 Our most economical VocalBooth, the Silver Series, is a single-wall design for applications needing extra sound isolation or a controlled recording environment. Often this booth is used in preexisting studios with minimal exterior sound issues.Available in 4' x 4' size only, with a 1'x2' door window, this booth is a great addition for home and project studios on a budget. Door: The Silver Series comes with our proprietary 78" x 32" x 1 3/4", solid wood door. Solid feel and triple seals set our door apart from the competition. Right swing only.